London is famous for a number of things. Other than the bright red buses, giant Ferris wheels and famous Underground system, the city is home to some of the country’s best interior design shops and museums. Here at the Park Grand Paddington, we understand the importance of creating a luxurious setting and always stay up to date with the world of interior design. If you’re a designer or you’re a homeowner looking for some inspiration for your next redecoration project, these popular places are sure to make your stay at our Paddington Hotel London even more insightful. If you’re looking to get inspired and find a new look for your home, there’s no better place to be than the magnificent Design Museum. Located in the heart of Kensington, just a short journey from the Park Grand Paddington, the vibrant museum is famous for its unique collection of work from all areas of design. You’ll find everything from vintage homeware to cutting edge interior design solutions. Uncover a world of creativity and browse the superb collection of exhibits that showcase concepts and designs from some of the best creatives in the business. A trip to the Design Museum is sure to get your creative juices flowing. In the heart of Shoreditch, you’ll find one of the most renowned design museums in London and one of the most beautiful buildings, too. 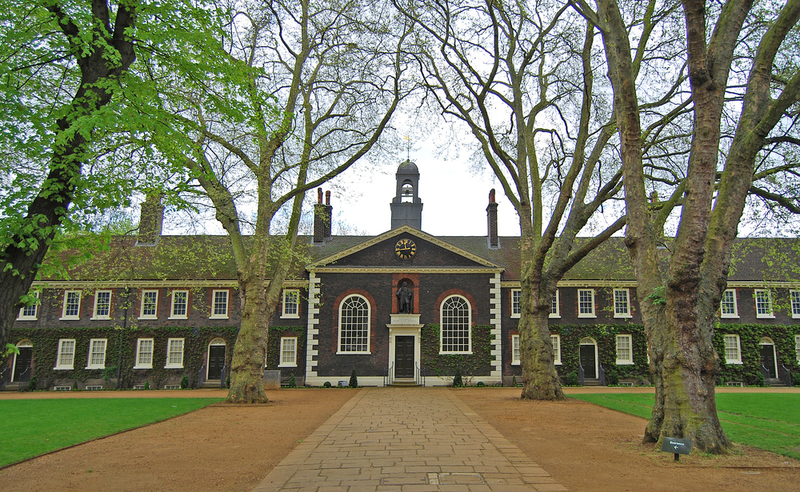 The Geffrye Museum is a time capsule of design that has been created to showcase the history of interior design and how it has changed and evolved over the years. The museum consists of multiple rooms that have been carefully designed in the same style as past eras, stretching from the early 1600s to present day. A stroll through Geffrye Museum is like walking through time and it is truly inspiring for designers in search of ideas or hoping to learn from the past. Find a perfect mixture of modern design trends and classic styles at this iconic interior design shop in the heart of London. Just north of the River Thames and left of the Square Mile, Pentreath & Hall has been providing London locals and traveling shoppers with the very best in homeware and interior design accessories for years. The ultra-sleek outlet is home to a huge array of different products ranging from hand-woven throws to modern tableware. Anyone looking to break into the interior design industry or simply hoping to find some unique ideas for their next home project can find inspiration at one of the many events hosted by the British Institute of Interior Design. The organization has gained a reputation as one of the leading figures in the world of interior design and its iconic brand has become a sign of quality and professionalism. There are always new things happening at events all over London and the UK so be sure to check them out for your chance to learn from the best and get inspired. Share the post "A Guide to Interior Design in London"
This entry was posted in London Travel Guide and tagged Guide to Interior Design in London, Paddington Hotel London. Bookmark the permalink.